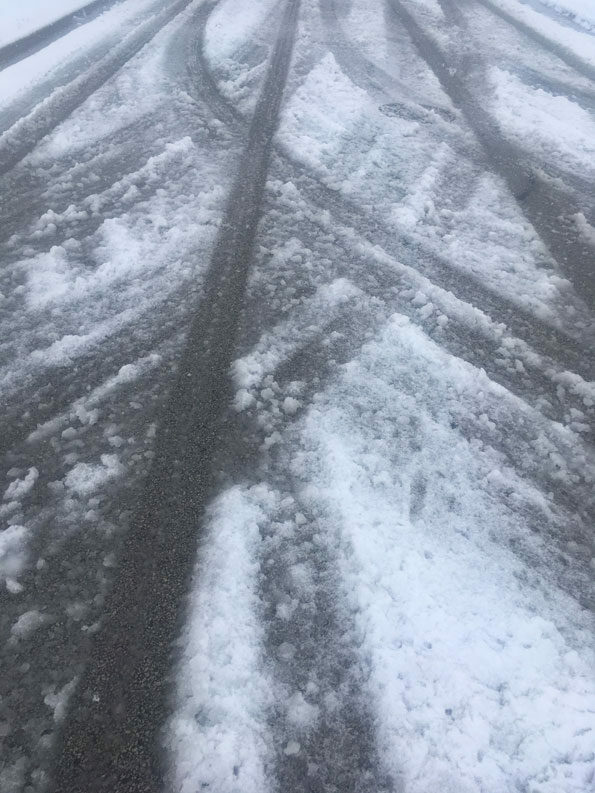 Snow has accumulated on some roadways in Chicagoland, and is connected with many crashes on Sunday, April 14, 2019. Arlington Heights streets are mixed — some with no accumulation and some with a partial slush. Driveways and grass lawns are another story. 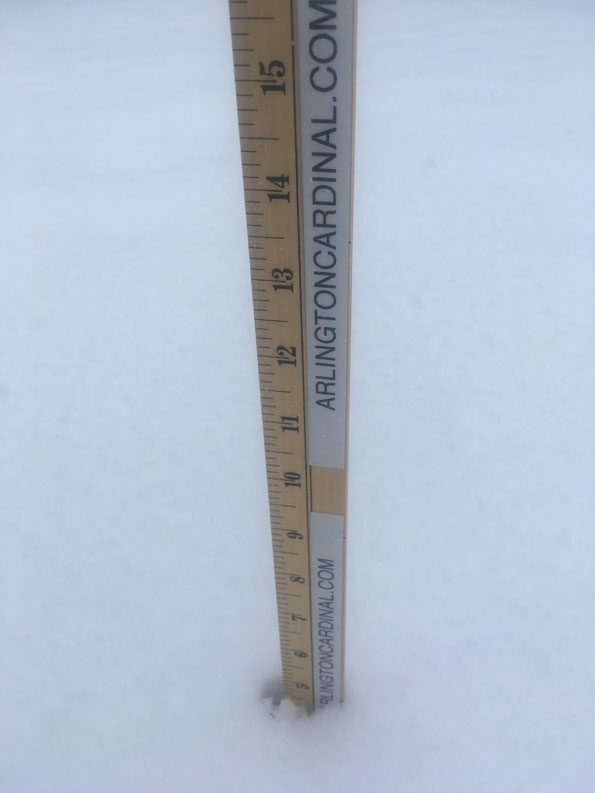 At 12:40 p.m. about 2.0 inches of snow has accumulated on driveways and 5 inches of snow has accumulated on grass lawns in Arlington Heights. McHenry County and Kane County and six other counties immediately southwest and west were upgraded to a Winter Weather Advisory. Roads further west and north are snow covered. 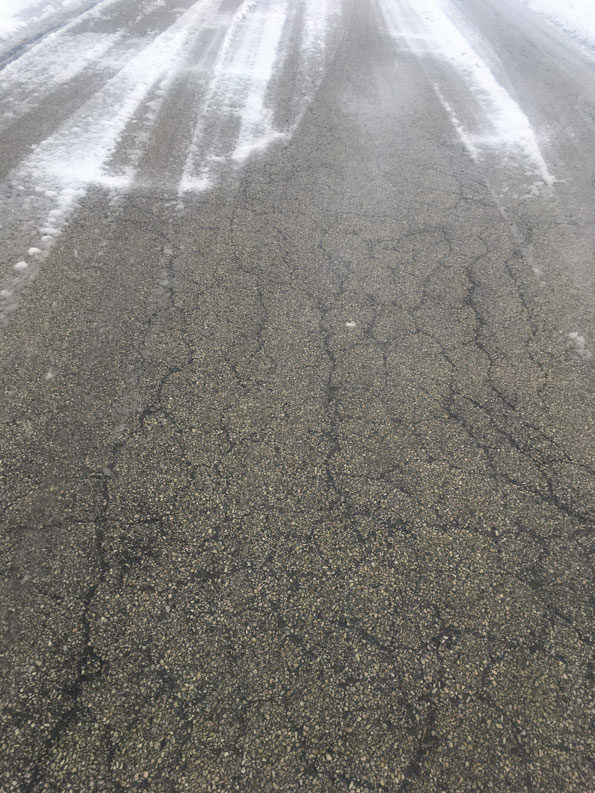 Following are several crashes reported in Chicagoland Sunday, April 14, 2019. Slippery roads from snow may have started affecting motorists about 10:30 a.m. Sunday. Multiple crashes were also reported on I-80 between I-355 and La Grange Road during this time period. Westbound I-80 was shut down at La Grange Road. Also multiple spinouts were reported on I-88 near Naperville. The following two street photos were taken at the same time period and less than 50 yards apart. Road with some slush April 14, 2019. Snow accumulation 5 inches on grass April 14, 2019.